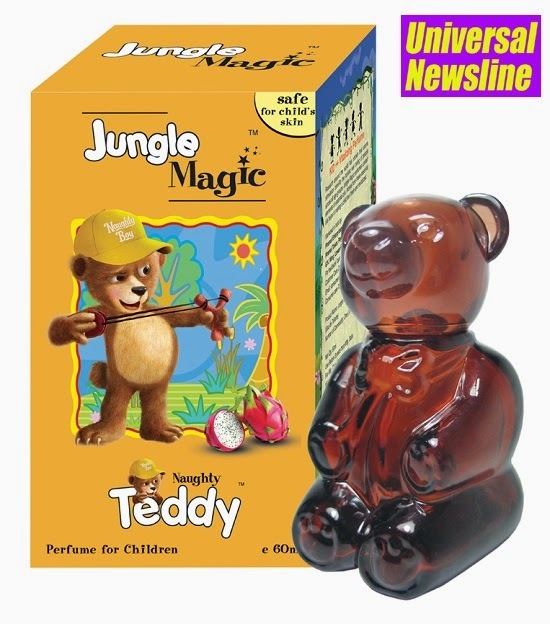 Mumbai November 2014: Consumer Products division of Piramal Enterprises Limited recently launched three new variants of Jungle Magic Fruity Perfumes; adding Naughty Teddy, Cuddly Teddy & Bubbly Butterfly, to their existing collection of unique characters Crawlly (Caterpillar), Doggy (Dog) and Penggy (Penguin). The Jungle Magic range of perfumes exclusively created for children contains elements of essential oils extracted from fruits that help to refresh and revitalize the mind thereby increasing a child’s alertness and concentration. They are available in unique character shaped bottles and the new range include a teddy and butterfly. The Jungle Magic perfumes bring in natural products that are safe and also unique for the children in the age group of 5 to 11. As mothers are very sensitive when selecting products for their child’s personal care, a great deal of attention is given to ensuring safety, efficacy and proof of action. These products are dermatologically tested to be safe for children. Jungle Magic perfume range was launched in 2012 and over the period of time Jungle Magic has uniquely positioned itself as a brand that equips parents with innovative and child friendly wellbeing solutions for children. The launch of the three new variants is basis the demand in the market for this category. Jungle Magic is priced at Rs. 299/- for 60 ml and is a perfect gifting solution for kids of all ages.